A man who escaped from a prison work camp in Georgia 48 years ago was found Monday, 990 miles away in Sherman, where he has been living under an assumed name and running a boat repair business. 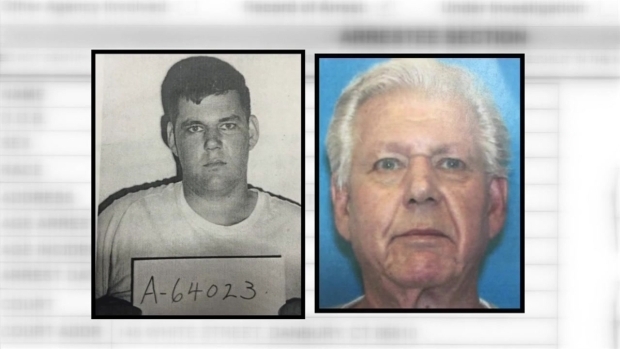 Robert E. Stackowitz escaped on Aug. 22, 1968 from the infirmary at the Carroll County Prison Work Camp in Carrolton, Georgia, where the then-23-year-old was serving a 17-year sentence for "robbery by force," according to the U.S. Marshals Service. Stackowitz was known around Sherman as Bob Gordon and the U.S. Marshals fugitive team learned about the alias around five months ago, which led the marshals and Connecticut State Police to 70 Route 39 in Sherman, where Stackowitz was taken into custody without incident, authorities said. State police said that when he opened the door for troopers and U.S. Marshals he said "I figured this day was coming." The 71-year-old escapee was taken to Danbury Superior Court on Monday and is being held on $100,000 bond in Bridgeport while he awaits extradition back to Georgia. Neighbors described Stackowitz as a good neighbor who would help clear snowy driveways in the winter. "Everyone has a little backstory I guess," said David Schneiderbeck. "His is a little more elaborate than most."